This is basically part 4 and a half of my “watch series”. The founder of Swatch Group, Nicolas Hayek who died in 2010 was such an interesting character so I thought it made sense to read this biography. The biography is unauthorized, Hayek was against it. The author is one of the most well-known Swiss Journalists. I actually read the German version because it was 10 EUR cheaper as hardcover than the English version. Hayek was born in Lebanon into the “affluent middle class”. He went to Switzerland because he fell in love with a Swiss Aupair girl. His parents would not let marry him because of”low status” of the girl, so he left and went to Switzerland. As his father in law became ill, he kind of took over the management of his company (machinery). He turned around the company but then fell out with the father in law when he came back. Afterwards he worked for an US consulting company. He then started his own consulting company Hayek Engineering with a focus on machinery companies which still seems to exist. His first successes were mostly in Germany, but then he became also well-known but controversial during a military deal which he reviewed very critically. He made a surprising amount of money in consulting,the author assumes that Hayek had a net worth of 200 mn Swiss franks fortune before he came in contact with the watch industry. Despite being an industry outsider, he was called in to help bankrupt Swiss watch companies by the banks which already them had taken over. Hayek merged two bankrupt companies (SSIH and ASUAG) realizing synergies and made a lot of changes, especially with regard to automated production and optimized marketing. He had to think twice before he bought in personally together with other Swiss investors. He paid around 40 mn Swiss francs for 17%, then bought more later from Co-investors. He only became CEO of Swatch at the age of 60, before was still technically at his consulting company. Although he claimed to have invented it, the famous “Swatch” was already existing and sold quite successfully before he came. However was a marketing genius, organised great events which brought him into the news and in contact with many rich and important people. He also recognized early on the potential of the Omega brand and had the clear vision to build that brand into a direct competitor for Rolex. The banks initially wanted to sell Omega for 300 mn Swiss francs to the Japanese. Nevertheless for him the Swatch was always very imortant. He always argued that if the Swiss watch industry would lose the low-end of the market and only produce luxury watches, they would be in danger to meet the same fate as the British car makers Rolls Royce and Bentley. He also had some failures: He tried to produce and sell phones (“Twin Phone” without success, the Smart Car (Smart failed and he got out, Swatch accessories did not work out. However he was very shrewd in acquiring true luxury brands cheaply, did never overpay. He knew he needed those top brands in the long run. 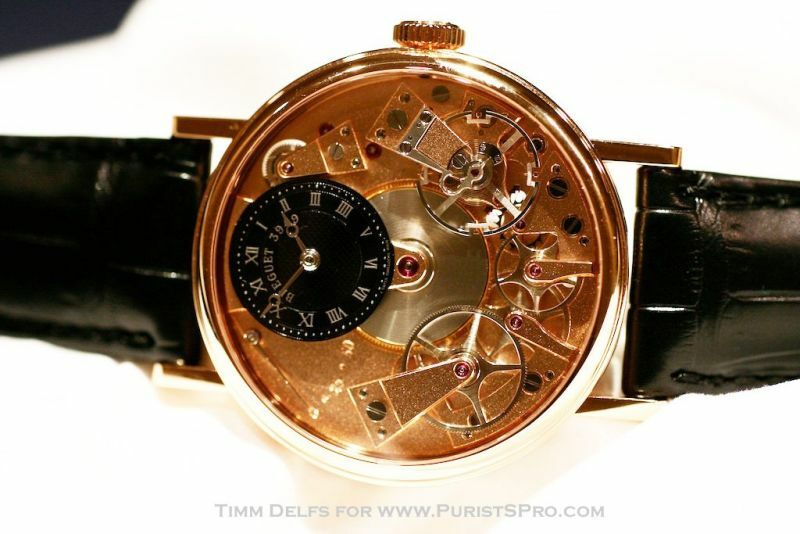 Acquired Breguet in the nineties and managed to increase sales 10 fold within a couple of years. The book says that back in 2010 or so, they sold 30.000 Breguet Watches for total sales of around 1 bn Swiss francs. He always meant to bring in his heirs into the company. Son Nick tried t become a film maker first but then entered the company as marketing manager. Daughter Nayla was breeding horses but eventually also joined the company and is now president (Nick is CEO). Nayla’s son Marc is already now running some of the luxury brands. When looking at Swatch, the question is how much of the founder spirit is still in the company ? Can his children fill out his rle to some extent ? More on that in a later post. Overall, the book is clearly one of the better biographies available and also offering some interesting insights into the history of the Swiss watch industry. For anyone interested in that area a definitive “must read”. A a final bonus an interview with Hayek from the late 80ies aboutthe importance of manufacturing. When can I read this book? – Increase in inventories + differences between FCF and Net Income. Profits would be overstated if Swatch had produced too much in the past years (encouraging wholesalers to place orders). Swatch’s partial ownership of distributors could leave room for related party transactions. – Corporate Governance. Swatch moved from IFRS to Swiss GAAP accounting as IFRS was “too theoretical”. Also Nick Hayek used money from the company to give a loan to the chairman of Hengdeli – a retailer of watches in China and Hong Kong. With regard to Swiss GAAP: Swiss GAAP is more conservative than IFRS. Goodwill for instance gets written off or fully deducted. Swatch has an equity participation in Hengdeli. I had not read that bio yet. Does it dwell on the restructuring years when he acquired the assets back in the 80s? I am most interested in the distressed turnaround story of his life as I see the same happening with the print industry today. Yes, part of the book looks at the restructuring. However I think there is not that much similarity to printing as the watch story is mostly a marketing story. You are right MMI – the only exception is branded print (i.e. those little expensive notebooks with a leather back that wanabe authors love to show off on train journeys). I am looking at a situation of this sort right now and wondering if this niche will survive the iPad.